Feed contamination can lead to nutrient losses and detrimental effects on animal health and production. The purposes of this study were to investigate the mycobiota in equine mixed feeds and to determine natural contamination with aflatoxin B1 (AFB1) and fumonisin B1 (FB1). Fungal enumeration of equine feed samples was done. A commercially available enzyme-linked immunosorbent assay kit was applied to quantify AFB1 and FB1. A comparison between ELISA and HPLC was carried out. Feed mould counts ranged from <1× 102 to 1× 105 cfu/g. The most frequent genus isolated was Aspergillus (40.54%), followed by Penicillium (18.38%) and Fusarium (16.22%). The most prevalent Aspergillus sp. was A. flavus (36%). AFB1 values ranged between 0.01 and 99.4 μg/kg. FB1 levels ranged between 0.01 and 7.49 μg/kg. HPLC and ELISA methods showed positive correlation for AFB1 and FB1 determinations (r = 0.9851 and r = 0.9791, respectively). The ELISA analytical method was efficient for AFB1 and FB1 detection. 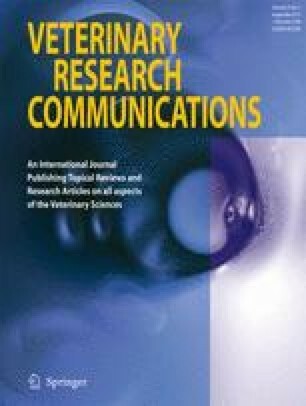 The scarcity of studies on natural fungal contamination and on the presence of AFB1 and FB1 in materials used as equine feed ingredients highlights the value and contribution of this study.